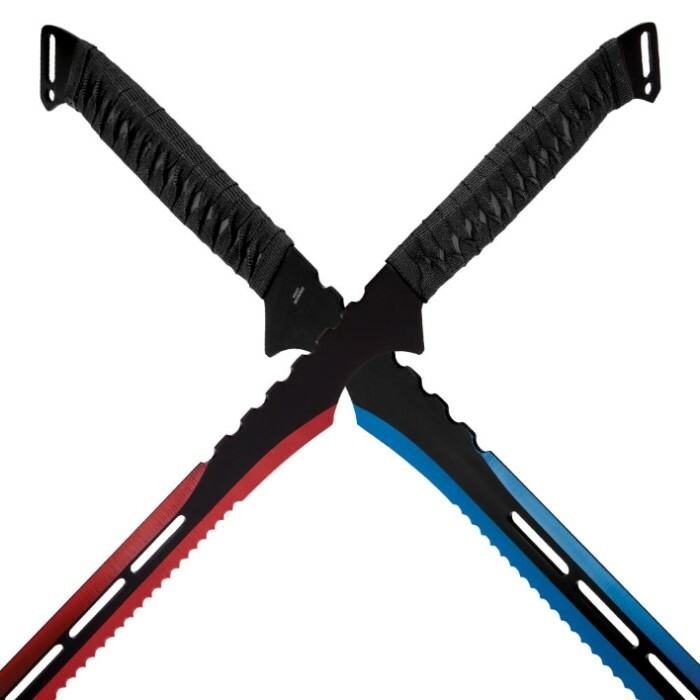 Fire and Ice Twin Sword Set with Black Nylon Double Sheath | BUDK.com - Knives & Swords At The Lowest Prices! What’s fiercer and deadlier than one razor sharp sword? Two of ‘em! 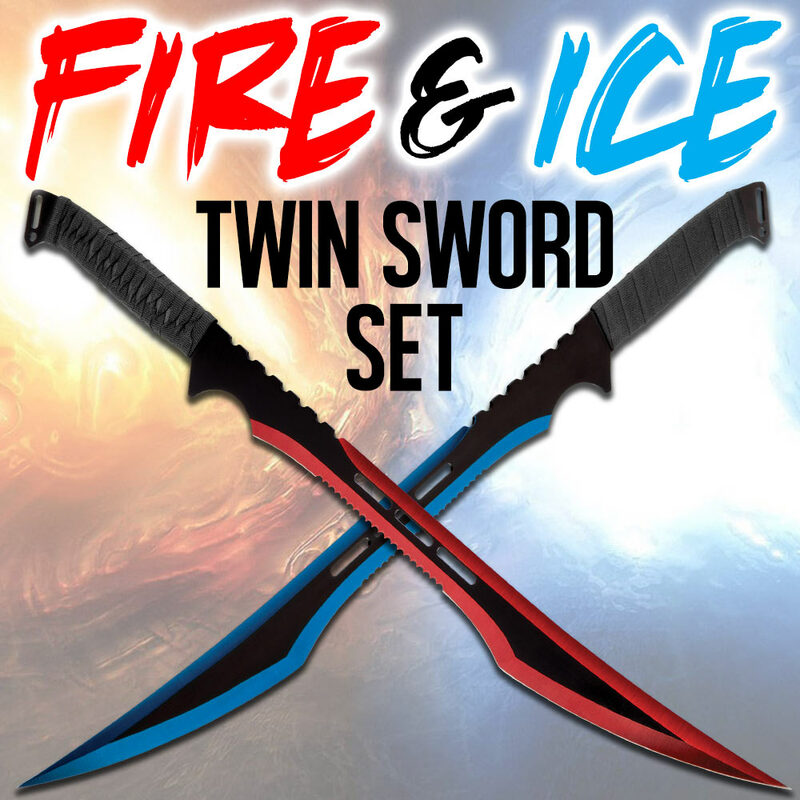 The Fire and Ice Twin Sword Set features two equally menacing black fantasy-style swords, one accented with gleaming iridescent cobalt blue spine and edges, the other deep, dazzling crimson. But don’t be fooled by the “fantasy” moniker - these serious swords boast sharp, carefully honed 19 1/2” stainless steel blades with partial broad, rounded serrations. Just the right balance, size and weight for simultaneous, one-in-each-hand use, Fire and Ice are both pleasures to wield, thanks to durable, water resistant black nylon rope-wrapped handles. 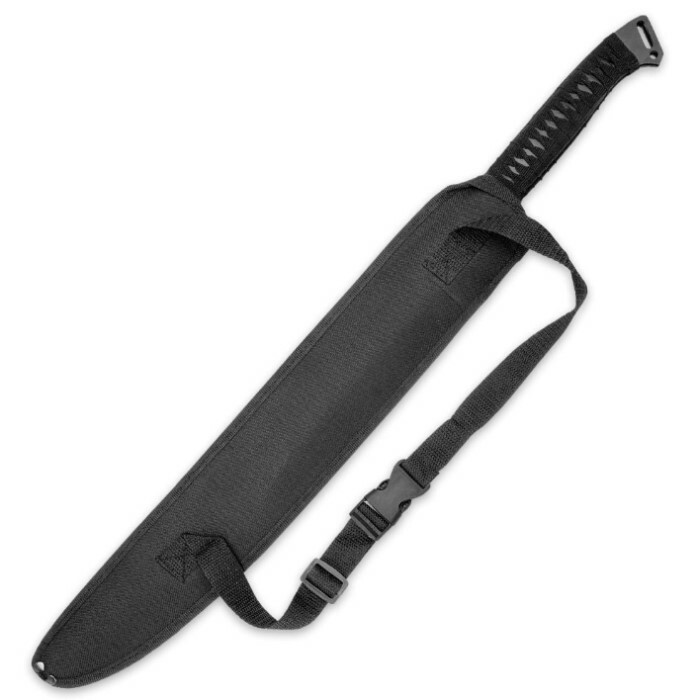 Includes a handy, protective nylon two-sword sheath with carrying strap. If you don’t yet have a twin sword set in your collection, the Fire and Ice is a terrific, affordable place to start. Even if your collection is brimming over with swords, daggers and knives of all shapes and sizes, it simply isn’t complete without the subtle elegance of this stunning set. Each measures 27” overall.